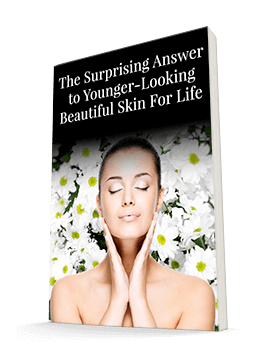 I'm constantly seeking out the latest research to share with you about how to have beautiful skin. But to do that, you can't just look at the outside. You also have to consider the inside as well, which is your overall health. What we often don't realize is that the skin is a barrier that helps keep our insides healthy. When something gets into our skin, it can cause problems. So it probably won't surprise you that tattoos present problems for our skin - and our overall health. 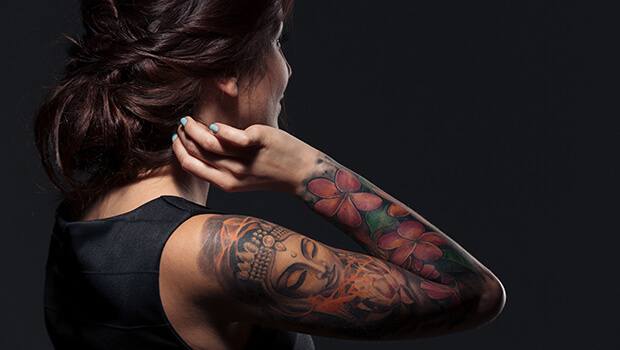 Tattoo pigments don't just stay on the surface of your skin. The latest research shows that they can ultimately enter your bloodstream and then your organs. For a study published in the journal Dermatology, researchers divided mice into three groups. The researchers tattooed 10 mice with black ink. They gave another 10 mice tattoos with red ink. And five (presumably uncool) mice went tattoo-free to serve as controls. The tattoos covered the mice's entire backs and were done with commercially available ink. After a year, the researchers evaluated the mice's internal organs to see if any of the tattoo pigments had migrated there. Sure enough, tattoo pigments showed up in the skin, lymph nodes, and livers of both the black- and the red-tattooed mice. While this study didn't address whether the pigments were harmful or not, it's telling that the mice's bodies were moving them to the detoxification organ, the liver. Another study focusing specifically on red ink, published in Experimental Dermatology, found that the combination of red tattoo ink and ultraviolet radiation increased the risk of skin cancer. While the ink used in this study is no longer allowed to be used in humans, the fact that this ink caused all of the UV-radiated mice studied to develop squamous cell carcinoma doesn't leave me feeling very confident about the safety of other inks. After all, most people get tattoos in places that are at least occasionally exposed to UV rays. If you already have several tattoos, you may want to consider giving your liver an extra boost with a product like Advanced Liver Support (or at the very least, milk thistle and curcumin), as this research indicates your liver may be processing pigment deposits in addition to the other toxins it has to deal with. The benefit of Advanced Liver Support is that you have adequate amounts of the specific nutrients associated with hepatic health. Be particularly vigilant about applying zinc oxide sunscreen to tattooed skin. And watch your skin carefully for changes. If you notice any, get a skin check right away. Skin cancer has a better prognosis if it's caught early. If you do decide to get a tattoo, make sure that the technician uses the least toxic inks.